What does one get with one woman's passion for chocolate, and an even greater love for a son with peanut allergies? 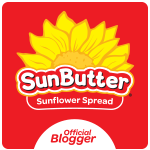 A company committed to providing 100% guaranteed PEANUT and TREE NUT-FREE products! I'm talking Gourmet Quality Truffles, Creams, Caramels, Fudge, Twists, Variety Small and Large Pops, Bars, and Chocolate Shapes for sharing. Vermont Nut Free Review from S.A.F.E. Vermont Nut Free Chocolates, 10 Island Circle, Grand Isle, VT.
Has your child never enjoyed M&Ms? Check out their 'Skippers'. Even I can't tell the difference between these and the more commonly known, store-bought brand. Worried about cross-contamination in your 'Jelly Beans'? Enjoy these great tasting candies and stress NO MORE. Looking for items a bit more on the healthier side? 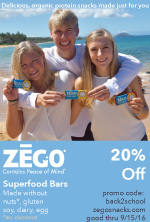 Don't miss their all natural, NUT FREE TANABAR granola bars OR ball shaped MetaBalls energy snack. 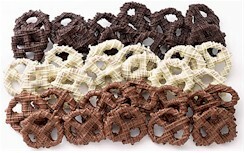 They claim their Chocolate Covered Mini-Twists have an addictive sweet and salty combination, and I would have to agree. As sad as I was that my kids couldn't try these out because of possible dairy cross-contamination, I had to force myself NOT to eat the entire bag in one sitting. Here's the best part for YOU! 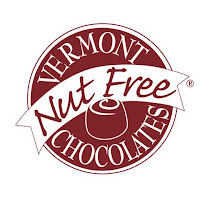 They are running an on-line promotion till June 30th, 2013 where all customers can save 10% off their order by typing in CYBER10 in the key code box while shopping on www.vermontnutfree.com. Try them out and let me know your thoughts! My guarantee is that you WON'T be disappointed!